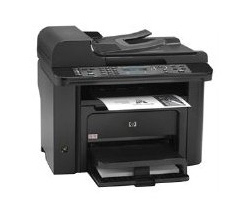 Trusted Reviews has tested a multifunction printer from HP. The printer is called HP LaserJet Pro M1536dnf and is able to print up to 26 pages per minute in monochrome, or so HP claims. Trusted Reviews ends up giving the M1536dnf on overall score of 7 out of 10 possible points. The printer scores highest on print quality and features, while it gets a little lower score on print speeds and value for your money. The HP printer has several useful features and is able to make prints of good quality, but it does not have that special extra to get a perfect score as there are several other printers on the market that is just as good as the LaserJet Pro M1536dnf. Read the full review of the HP LaserJet Pro M1536dnf multifunction monochrome laser printer here.